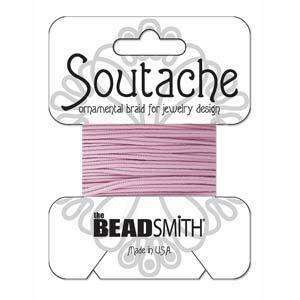 The entire line of BeadSmith Soutache was designed by a textile jewellery artist for textile jewellery artists with tremendous attention to consistency of width, thickness and drape so that rayon and polyester braid can be successfully combined. 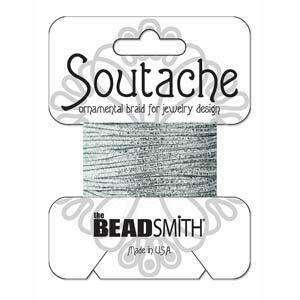 Polyester is an entirely synthetic fibre which takes colour beautifully so the polyester braid is available in bright colours. The sheen of polyester is slightly duller than that of the rayon. 3 yards per card. 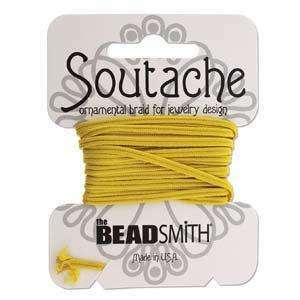 The Soutache braid is 3mm wide.